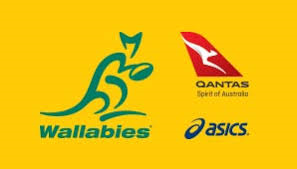 The Qantas Wallabies have fallen to Argentina in a tight encounter at Cbus Super Stadium on the Gold Coast on Saturday night, going down to the South Americans 19-23. The Wallabies had their moments in attack and despite a disjointed performance still had a late chance to steal victory, but ultimately were out enthused by the visitors who secured their first win on Australian soil since 1983. Argentina were the first to strike when fullback Emiliano Boffelli slotted a penalty goal from beyond the halfway line, before the Wallabies returned serve with the first try of the match through a brilliant passage of play finished by Will Genia after winger Reece Hodge turned the ball back inside. Five minutes later, the visitors hit back when man of the match Nicolas Sanchez scored and converted his own try, before a stunning individual effort from Israel Folau who breezed past five defenders to score in the corner, returned the lead to the men in gold, 14-10. 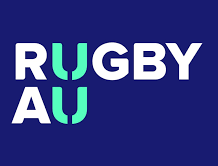 The score would remain that way until the 37th minute, when a defensive lapse from the Wallabies allowed flanker Pablo Matera through a hole from deep inside his own half to set up a try for speedy winger, Bautista Delguy. Leading by three points at the break, Argentina extended their lead to six points before the Wallabies backline clicked again and fullback Dane Haylett-Petty chimed on to the end of the lien to score in the corner. The second half descended into a pure battle as both teams surrendered good attacking opportunities and the only other score came off the boot of Boffelli, who roosted another penalty goal from beyond halfway to make it 23-19. The game eventually came down to the final play, where first-half try-scorer Folau backed himself for the line but was dispossessed in a heavy front on tackle from Pumas lock Tomas Lavanini.